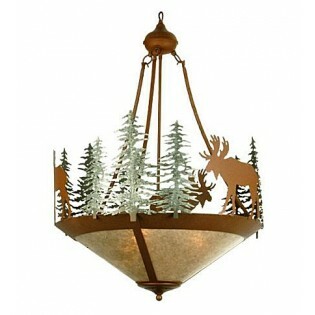 This Moose and Trees Inverted Chandelier features green finished pine trees with rust finished Moose on a rust finished fixture and has silver mica panels. The fixture is Made in the USA. 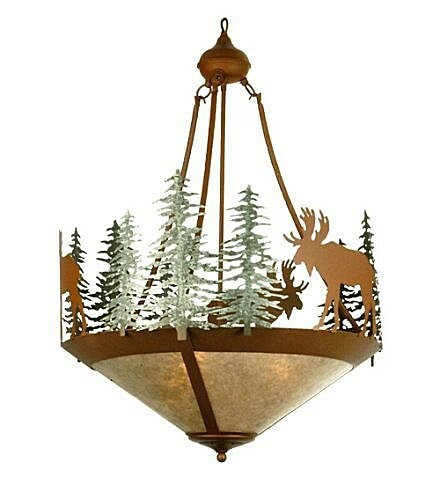 This Moose and Trees Inverted Chandelier features green finished pine trees with rust finished Moose on a rust finished fixture and has silver mica panels.